After nearly 25 years upholding and reinvigorating thrash metal’s grimmest traditions for the delight of the international underground, Norway’s reapers of blackened-thrash, Aura Noir, will unleash their sixth full length on April 27th with Indie Recordings. The semi-self-titled, AURA NOIRE, is released with no overdubs or embellishments, only underscoring the band’s potency as a power-trio and reinforces their primacy among thrash’s primal pantheon. 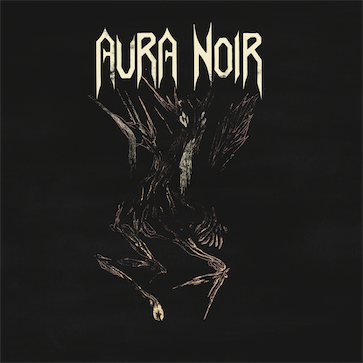 With Aura Noire, a title which quite distinctly resembles their band name, Aura Noir churns through some of the most refreshing, yet nostalgic tracks of thrash metal ever to be heard. The album opens with probably one of the most retrospect of riffs, but suddenly summersaults you into the gloriously dissonant and immersive Aura Noir atmosphere. 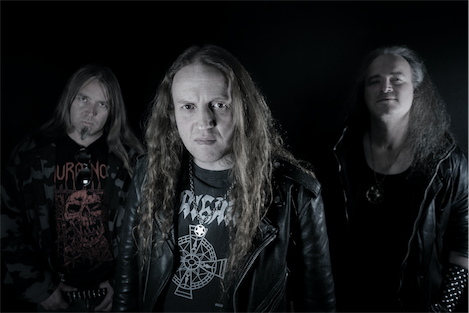 The soaring and burning shouts of Aggressor intensely glues the otherwise quite varied and playful guitar riffs and drums together, culminating into the essence of thrash that is Aura Noir!